When it comes to writing for kids, age appropriate language is important. If there are too many difficult words or complicated sentences, it may deter your readers. Therefore, it is always a good idea to research the reading level first before beginning a book. Revisions are the perfect places to expand your ideas, plot and characters with a few unique ways of saying things. If children like the story, looking up a word or rereading a sentence won’t be a problem to them. Kids enjoy relating to the characters you write about - assuming it is a fiction story. Heroic traits are often a draw, and a fairly strong adversary, whether inner or outside or both adding conflict as fuel for the story page by page. Art in all genres (writing/painting/music) must be designed in such a way that excites the creator, with a true understanding and interest of what the readers/viewers will also sense. If you are bored with your characters, so will they be. If you laugh aloud, so will they. Sure, you may be wrong once in a while, but only by giving into your gut shall you decree your voice and let it tell the story as you wish. I like to exercise a lot of imagination when I write a story. At the same time, I want other people to see and accept the world I am creating, and even desire to go there with me. It is a wonderful world never before experienced, so that they walk into a new territory, and see the world from another standpoint. At the same time, readers are to wonder what will happen to the characters, and what will they say or do next. To me this is fearless story writing. The idea is to allow children to run into your story with you, and become one of the characters. At times, they may change who they want to be, or simply become an observer along with the author. But the strong pull for a young reader is to feel like they are in the story, and want to be in the time and place, in and out of it, turning pages and enjoying the journey. It is especially important for kids to free themselves in books and engage in the fun of reading and even imagining how they may act in similar situations. In this way, we can spread compassion, intelligent decision-making and honor among our young readers. About the author: Nicole Borgenicht is a children's fiction writer. Her most recent picture book, The Bridge was published by Publish America. Some of Nicole's other kid's stories have appeared in The Los Angeles Times Kid's Reading Room section, Stories for Children Magazine and LadyBug Flights Magazine. Additional works comprise poetry and essays, short stories, one act plays or articles in magazines such as Arts and Entertainment Skyline and American Fitness. You can find out more about Nicole Borgenicht and her April '12 World of Ink Author/Book Tour at http://tinyurl.com/6we4qlj. There will be giveaways, reviews, interviews, guest posts and more. Make sure to stop by and interact with Borgenicht and the hosts at the different stops by leaving comments and/or questions. 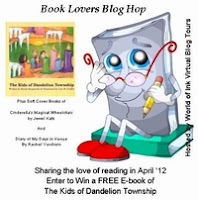 Lastly, come join the April '12 Book Lovers Blog Hop & Giveaway at http://familiesmatter2us.blogspot.com/2012/04/book-lovers-blog-hop-giveaway-april-12.html for your chance to win a free copy of "The Kids Dandelion Township" and two other bonus books! Nicole, great post. Writing for children is amazing. 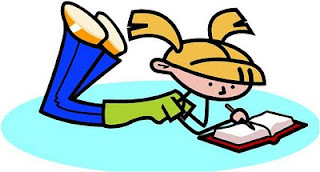 As an author you have the opportunity to bring a child on an adventure and/or teach them something. You help open and broaden their minds and imagination. A great post that reinforces the need for being clear about the needs of your target market. As writer's we must remember our hook needs to entice an editor/publisher but it truly needs to hook the children. Without the we'd have nothing.